Some events can defy the obsolescence inherent in the uncompromising news cycle. The conference organized by the UNDP in Ashgabat on 20-21 June 2018 certainly falls in this category. 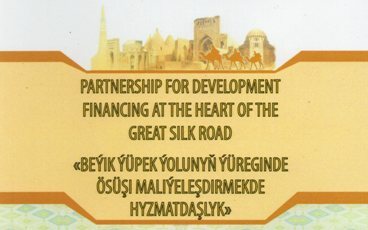 Hosted jointly by the UNDP and TFEB (Vnesheconombank – State Bank for Foreign Economic Affairs of Turkmenistan) – was focused on the theme: Partnership for Development Financing at the Heart of the Great Silk Road. The concept of the conference was drawn from the fact that Turkmenistan, like every other country worldwide, would need significant financial resources and new approaches and partnerships for resource mobilizations to meet the commitments of SDGs (Sustainable Development Goals). In fact, according to UNCTAD, every year, as much as USD 2.5 trillion in resources and investments would be required globally to meet the SDG goals. The Addis Agenda of 2015 and the ECOSOC Forum on Financing for Development follow-up (FfD) held in New York in April 2018, reaffirmed that a new approach to financing for development is needed. The approach thus required must be able to cluster the domestic and international finance from the public and private sources, bringing together grants, loans, private investments and other innovative sources of financing to support the SDGs. The conference was attended by some 200 delegates from the foreign and local organizations and entities. Gochmurat Muradov, the DPM for finance and economy read the address of President Berdymuhamedov. Serdar Berdymuhamedov, the deputy minister of foreign affairs, and Rastislav Vrbensky, deputy director of UNDP regional bureau for Europe and CIS addresses the opening session. The scene setter session established the basis for conversation – The SDGs in Turkmenistan and New Trends in Development Finance. The conference was a great success by all measures and counts. While IMF and PwC (PricewaterhouseCooper) pointed out the ways for mobilization of finance and private investments through the regular channels, the Dubai Islamic Economy Development Centre introduced the concept of Islamic financing and investment. Other speeches and presentations widened the canvas, covering the pace and challenges of SDGs. An entire session was devoted to TAPI. 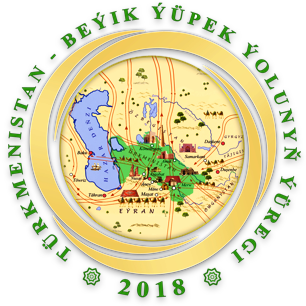 Turkmenistan will hold a voluntary national review on SDGs implementation at a high level political forum in 2019. The conference participants welcomed Turkmenistan’s efforts to improve the public finance system and stressed the importance of fiscal regulation to improve the mobilization of domestic financial resources. The participants also supported the need to strengthen international cooperation in tax matters, as well as to combat illegal financial flows and the return of assets to promote sustainable development. Participants discussed with interest the benefits of investing in sustainable development goals and recommended that the United Nations continue to research and analyze the relationship between investment in priority development areas (accelerators), including in the empowerment of children, youth and women, and return from them. It was also noted that investing in a quality, affordable, affordable, reliable and sustainable infrastructure, including transport, energy, water and sanitation for all, is a vital condition for achieving many of the Sustainable Development Goals. At the same time, the difficulties faced by developing countries in terms of the efficiency of public investment and ensuring an acceptable level of debt were noted. The participants welcomed the successes of Turkmenistan in the implementation of the key principle of the global Sustainable Development Agenda until 2030 “not to leave anyone behind” through the implementation of national programs for social and economic development, including programs to transform the social conditions of the population of villages, towns, cities of etraps and etrap centers for the period until 2020. The conference participants also supported Turkmenistan’s efforts in mobilizing financial resources for the construction of the Turkmenistan-Afghanistan-Pakistan-India gas pipeline and expressed confidence that this project will resolve issues related not only to energy supply, but will create conditions for the prosperity of the entire region. – the need to expand the range of financial instruments, including the use of innovative methods for mobilizing financial resources for sustainable development, including mixed financing, combining public and private resources. Various sources indicate that implementation of Agenda 2030 requires additional 250 bln USD.In your opinion, what is the most effective way to mobilize those resources? Most estimates have the costs of financing SDG achievement in the trillions of dollars, not billions. Given the estimated cost of implementation of the Agenda 2030, it is vital to design and implement policies that encourage private sector/commercial investments in sustainable, inclusive, integrated investment projects and technologies. Please elaborate what are the incentives for the private sector and IFIs to support implementation of Agenda 2030. Sustainable, inclusive business models can be profitable, especially in the longer term. But not all companies know how to take advantage of these opportunities, and not all sectors are equally disposed to look past quarterly profit statements and take a longer-term view. Initiatives such as the Global Commission for Business and Sustainable Development that provide sound evidence, rigorous research and compelling real-world examples—to explain why business leaders should seize upon the commercial opportunities offered by sustainable development—should be expanded, for the successful implementation of Agenda 2030. What would be the basis for public-private cooperation in financing for SDGs in the heart of the Silk Road and development financing as a whole? Please elaborate on public-private cooperation inside the country, on the regional and international levels, including with IFIs. Investments in connectivity—particularly in transport and telecommunications infrastructure—are central to prospects for economic growth and diversification and sustainable development along the Silk Road. There are many frameworks/bases for promoting such cooperation, involving public/private partnerships; the Belt and Road Initiative and the Central Asia Regional Economic Cooperation (CAREC) programme come to mind in particular. The issue is not so much about cooperation with the private sector, as the most important companies/commercial actors are owned by the state, such as Turkmengaz concern, industrial plants and factories working in agriculture, transportation and construction. Whereas the Union of Industrialists and Entrepreneurs unites individual entrepreneurs and private companies, its status is close to the national ministry which is good for partnership development with the government, but changes the nature of the public-private cooperation concept. The same holds true (to a somewhat smaller extent) with partners (actual and perspective) from other countries such as China and Uzbekistan. The key question then becomes how to ensure that corporate governance and management systems within these companies are “fit for purpose” in responding to large commercial challenges. 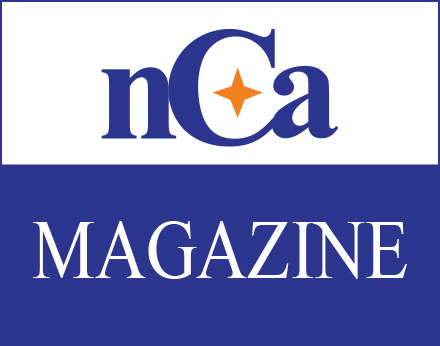 The largest connectivity questions concern energyand transport corridors, examples include pipelines like TAPI, but also potentially LNG/CNG infrastructure. This involves both huge sums of money and geopolitical questions that might be even larger. Traditional PPP approaches may not be so helpful in helping to appropriately conceptualize these issues and the relevant policy challenges because the nature of decision making and investment if peculiar to the region. The traditional PPP are about commercial (not political) partnerships between genuinely private companies and state institutions. The state takes on the responsibility to construct the infrastructure or ensure that the service is delivered to the public, and then contracts with a privately-owned company, who becomes responsible for meeting the terms of the actual construction, or actually delivering the service. In the case of TAPI, Turkmenistan and other regional actors are engaged into the process on the level of the government with the exception of some foreign suppliers. Decisions are made at very high political levels, and are implemented (primarily) by state-owned companies. A related issue concerns the presence (or absence) of people-centred approaches to these questions. Major transport corridor investments can generate important opportunities (e.g., in tourism, small business development, etc.) and risks (e.g., unanticipated strains on water, land, biodiversity, unexpected internal and external migration, which may pose risks to health and social cohesion) for the communities located along these corridors. Planning frameworks designed to meet the needs of the big government agencies and companies who drive these investments too often do not accommodate (or accommodate only with difficulties) local level concerns about/solutions to these issues, and important local development opportunities can be missed. UNDP (and other UN agencies) can help central governments, businesses, and local communities to take advantage of these opportunities and manage these risks. Middle income countries often experience economic boom before falling into “middle-income trap” phenomenon whereby after reaching a certain level of per capita income, the countries experience stagnation of economic growth and at times a decline in growth which hinders implementation of the Agenda 2030. How to minimize the risks of economic downfall and ensure sustainable growth? Participating in global (e.g., WTO) and (where justified) regional economic integration platforms that can promote integration into trans-national value chains, thereby improving access to knowledge-intensive technologies and to export markets for manufactured products. The special session on TAPI was very useful in bringing the participants abreast with the latest position on TAPI implementation. In 2013, the governments of Turkmenistan, Afghanistan, Pakistan and India designated state gas companies, respectively Turkmengaz, Afghan Gas Company, InterStateGasSystems (Private) Limited and GAIL (India) Limited to promote the project and investments in the TAPI project. In November 2014 a special purpose company “TARIPipelineCompanyLimited” was established, the main purpose of which is the implementation of the Project. The project includes the design, procurement, construction, operation and maintenance of a pipeline of 1840 km from Turkmenistan to Afghanistan, Pakistan and India. The TAPI project is designed to deliver natural gas from Turkmenistan to India, including several gas sampling stations in Afghanistan and Pakistan. The project will be implemented in two phases, and after full commissioning, it will export up to 33 billion cubic meters of natural gas per year for 30 years. The project is strategically important for the region and enjoys full support and protection from the governments of the participating countries. 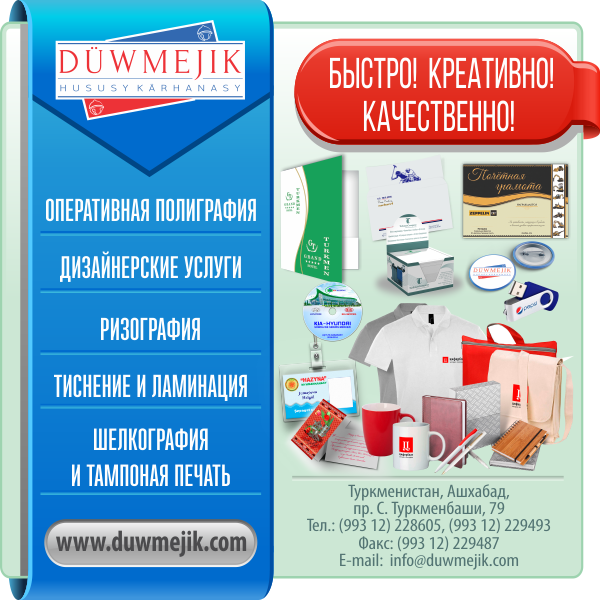 As is known, being the leader of the project, Turkmenistan in the person of the Dear President of Turkmenistan actively promotes the project in all directions. As the previous speaker, Mr. Amanov, has already said, the Turkmengaz State Concern is actively working on the development of part of the Galkynysh deposit, which will serve as the raw material base for the pipeline. On 13 December 2015, the ceremony of laying out the TAPI project with the participation of the leaders of the participating countries was held in the Mary province of Turkmenistan, not far from the Galkynysh gas field. In addition, in February of this year, in the foundation laying ceremony marking the beginning of the construction of the Afghan section of the pipeline, in which the President of Turkmenistan Gurbanguly Berdimuhamedov, the President of Afghanistan Mohammad Ashraf Ghani, the Prime Minister of Pakistan Shahid Khaqan Abbassi and the State Minister for Foreign Affairs of India, Mobashar Javed Akbar, demonstrated thereby maintaining their continued support and commitment. (a) The relevant intergovernmental and framework agreements for the gas pipeline were signed, and the Gas Purchase and Purchase Agreements were signed with all buyers. Agreements on the operating conditions of the gas pipeline have also been signed. (b) The main terms of the Agreement with the Government of the host country are signed with Afghanistan; The signing of the same Basic Conditions with Pakistan is planned in the near future. Work is underway to prepare and conclude packages of agreements on transit, gas transportation services, and rules of gas pipeline systems. (c) In parallel, consultations are held with project partners on the technical side of the project, i.e. readiness of receiving networks along the project route. So recently, several rounds of meetings were held in Pakistan with the participation of government agencies, ISGS, as well as operators of distribution networks in Pakistan. In Afghanistan, too, regular consultations are held; in the near future we plan to organize a meeting with the relevant structures for the development of distribution networks and the mobilization of the downstream part. (d) All exploratory contracts have been signed, and all field work is expected to be completed later this month. Progress to date is 87%. These include geotechnical surveys and aerial photography, detailed pipeline route surveys, investigation and clearance of the route from munitions, environmental and social impact assessment, drawing up a plan for the allocation of land for which field studies have been completed in 4 of the five provinces of Afghanistan, two in stage of completion, in Pakistan in the two intersected provinces are at the final stage. (f) We formed a best-in-class advisory team. The project is supported by the British company Allen & Overy, the technical German company ILF Consulting Engineers. In addition, we will soon announce the appointment of an Advisor in Project Management (Project Management Consultant) of the world level and the Financial Adviser. (f) Tender processes for key components, such as large-diameter linear pipes, taps and large valves, have been completed, internal harmonization is currently in progress and it is expected that contracts will be prepared for conclusion in the near future. (g) Tender processes for EPC contracts are ahead of schedule and the tender results are expected to be available next month, after which the internal approval procedure will also be launched in the contract approval. (h) It is well known that organizing the financing of this kind of megaproject is one of the complex tasks that requires large resources and a long time. For the accelerated implementation of the project, the Project Company, together with the parties, conducted a full analysis of the risks and time spent on the financial closure, sovereign financing with the appropriate state support was identified as the main option. This approach has reduced the development and development of a financing plan for at least 18 months. This was also reflected in the tender process, as one of the criteria for evaluating proposals was the availability of financing from the exporting countries and their cost. The financing plan for Phase 1 is completed and consists of sovereign credit financing, received jointly from several ECAs, development banks and commercial banks. The works are conducted in all areas of attracting financing, in conjunction with the State Bank for Foreign Economic Affairs of Turkmenistan. At the moment, a team of financiers is being formed and starting next month it is planned to start a road-show organization, to familiarize the project and conduct negotiations. (i) Several meetings were held with a number of ECAs (including SACE, Hermes, ECIO), and all of them expressed strong support for the Project, and are currently completing their mandatory due diligence procedure. (j) There is also intensive work with the Asian Development Bank, which has, and continues to provide, full support for the project. According to the agreements, the Bank plans to finance the project in two directions, (1) sovereign financing, covering part of equity capital; and (2) direct financing of the project company. We expect the financial closure of the project in the third quarter of 2018, i.е. in the next 3-4 months. All of the above means that the work is on schedule to start supplying gas by the end of 2019. At the end of my report, I would like to thank the organizers of such a representative forum for the excellent organization and opportunity to make progress on the Turkmenistan-Afghanistan gas pipeline Pakistan-India. We have achieved significant milestones with regards to the Project. So an obvious question now would be: where do we stand in Pakistan? Pre-qualification process for various tenders have been started. We will be signing gas transportation and transit fee agreement; pipeline service rules; and completion of FEED activities during the next fiscal year. The construction work on the project will start after completion of technical studies and reaching financial close, which we expect from TPCL to complete during this year. We estimate that Afghanistan will earn approximately USD 450 million per year in transit fees from the TAPI project. I am pleased to report here that we have made ongoing progress since the inauguration of TAPI’s second phase in Afghanistan. 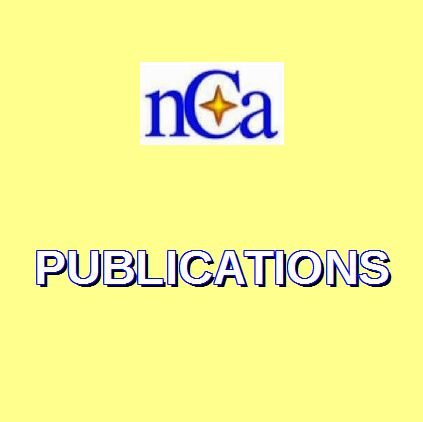 An environmental survey and contracting with consultancy companies have also been launched. With regard to the security of the pipeline, please allow me to assure you the Afghan people – including the Taliban – have demonstrated their support for the project and will collaborate with us to provide all necessary protective measures for the pipeline.